Please join us Saturday, December 1, 2018 at 2 PM – 5 PM to celebrate the holiday season at our 3rd annual Santa/Holiday event. As always we will have Free Digital photos with Santa! Photographers will be from Amber Fenix Photography. Backdrop this year is beautiful! Be looking for more info as the event nears. 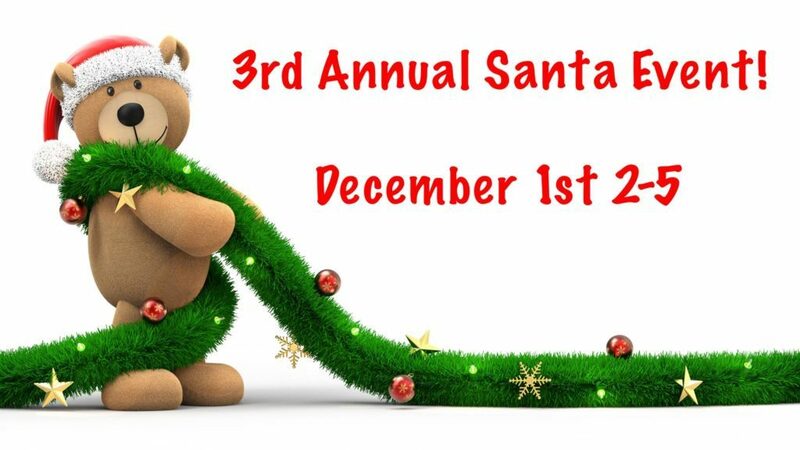 Texarkana Santa Will be our Santa Once again!